We do not believe in taking advantage of our customers in a time of emergency need. Being locked out of your home or automobile is very serious, but you should not have to pay what some locksmiths charge and consider to be a fair and reasonable price. Our rates are always low, and we have someone ready to assist you. Our service locations are individually owned and operated by local employees, many family-owned and operated. Your calls are important to us, so we answer them directly. You will not be sent to a call center in another state, or worse, another country. *Available services vary depending on state locksmith laws. Not all services are available in all locations at this time. We continue to strive to broaden our list of services. Our service is available 24 hours a day, seven days a week. Call Unlock It For Me today! Here at Unlock It For Me, we believe that everyone deserves fast and reliable access to a locksmith. Help shouldn’t come with hours of waiting and horrible paint damage. Forget the coat hangers and screwdrivers. Our team of professionals is all about quality locksmith service, every time. Based in Birmingham, Alabama, our company is both family-owned and operated. We’ve been around since 2008 and hire only the most experienced locksmiths to provide vehicle door unlocking services. 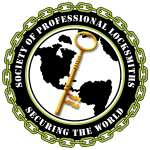 Our company values community and works closely with a network of licensed local locksmiths in order to better meet our customers' needs. Give Unlock it For Me a call to find out about our services. We work with the local locksmiths in our community to help our customers get the services they require. Keeping your money in your community, helping your friends and neighbors. Q. Where is your store? A. We are a mobile service, we come to you! But if you prefer to come to us, that's ok too! In May 2018 We opened up 261 Lock & Key which is located at 1920 Valleydale Road. Making an appointment is strongly suggested. Q. Are you Licensed & Insured? Q. I am locked out of my car. Can you help me? A. Yes! If your keys are locked in your car, give us a call! We can get them out fast! We are car door unlocking experts! Q. I have lost or damaged my keys. Do you make keys? Q. I am about to move. Can you come re-key my home or business? A. Yes! We can re-key your locks! We offer “one key fits all” service. Q. Someone told me I have special locks that can’t be picked. Can you get the job done? A. Depending on the situation, this may be true. Common residential locks typically can be picked by a professional locksmith. The types of locks that are extremely difficult to pick aren’t generally available at your local big box store...and you would remember if you paid for a Medeco High-Security deadbolt for example, which might sell for $129.95 for 1 Deadbolt! Q. Are there any vehicles you cannot open? A. We don’t like to brag, but it is rare that we encounter a vehicle that we cannot unlock. Q. What is the easiest vehicle to unlock? A. Hopefully, you understand, answering a question like this could put you at risk. We don’t like to give anyone ideas that could be used for criminal purposes. Rest assured, we know what we are doing and if you are locked out, we can get you in quickly, safely, and at a rate that's affordable. Q. Will the police open my car for free? A. Typically we can have a driver to you within 15-30 minutes. In some locations, we can have service completed in less than 15, wherein some rural areas service may take over an hour. We will provide you with an accurate, real-time ETA. Q. Will you damage my property while performing your services? A. No. There is no excuse for causing damages while resolving a lockout situation. Our technicians are carefully trained to use great care when providing service to our customers.